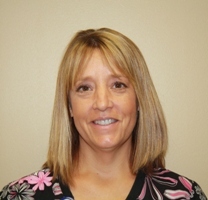 HAYS, Kan. (September 29, 2015) –Lori Frederking RN, recently passed the Certified Emergency Nurse (CEN) examination administered by the Board of Certification for Emergency Nursing. The CEN credential represents a commitment of the individual nurse, as well as the emergency department that supports CEN credentialing, to quality state-of-the-art emergency care. Emergency nursing incorporates a wide spectrum of patient care that requires highly specialized skills and extensive knowledge, as well as the unique ability to care for all ages of patients that have illnesses or injuries ranging from the very minor to extremely critical. The CEN examination evaluates the nurse’s knowledge in the areas of clinical pathophysiology, patient care management, and professional issues, environment, toxicology, shock, trauma, and medical emergency care.